We know getting new tyres can be a hassle and that taking time out to visit us can disrupt your busy day. 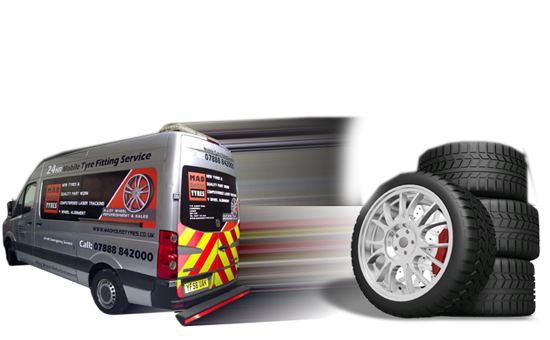 That’s why we introduced our mobile tyre fitting service offering the ultimate in convenience. We're fast, convenient and affordable, and can come to you, wherever and whenever you want us, come rain or shine. We're open 7 days a week, and our fully equipped vans, operated by highly trained professional fitters. Replacing your tyres has never been easier with us.